The Associate Consultant role is vital in SVA’s consulting model. Working in teams, under the leadership of a Director or Principal, the Associate Consultant leads problem-solving and analysis on project work streams as part of an overall team effort to deliver powerful insights and identify solutions to our client’s greatest challenges – thus enhancing an organisations ability to drive sustainable social change for disadvantaged Australians. We are looking for a dynamic, self-driven individual able to think creatively in developing innovative solutions to complex problems. With previous experience working in a problem-solving role, such as in a strategy consulting firm or related context (i.e. law, finance, business), you will have an understanding of, passion and commitment to working on society’s most important challenges. Associate Consultants joining SVA traditionally have a strong academic record including a graduate degree from a recognised program. This unique role provides exposure to challenging and rewarding opportunities across the social sector working on society’s most important challenges. You will collaborate with a growing and highly committed team with wide-ranging experience across the social sector. The focus of the Associate Consultant role will see you forging close relationships with inspiring clients, sector leaders, colleagues and stakeholders and provides a great foundation for professional growth and development. 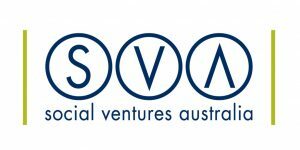 Social Ventures Australia (SVA) is a social purpose organisation that works with partners to improve the lives of people in need in Australia by helping businesses, governments and philanthropists to be more effective funders and social purpose organisations to be more effective at delivering services. SVA’s Consulting team supports leaders to make hard decisions, galvanise teams to sustain success and share insights with the social sector. We have 40 staff in our consulting team with offices in Melbourne, Perth and Sydney. Since 2007, we have developed unique, on-the-ground experience supporting over 300 clients through 600 engagements. We work on society’s most challenging issues including housing, employment, education, mental health, disability, and Indigenous disadvantage. Please quote in application: Associate Consultant (Melbourne) via Pro Bono Australia.